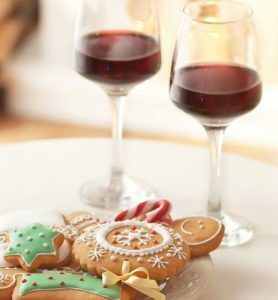 Cookies and a Glass of Cheer! Join us on Saturday November 24th to get a head-start on your holiday shopping, while supporting our locally-run non-profit organization! Stop on over to Lee Road to check out our 17th Annual Holiday Store. Outside of the incredibly diverse styles of artwork from 100 local artists and over 5,000 handmade gifts, what can you expect from us on Small Business Saturday? FREE artist-made cookies!! Our cash bar will also be open, with applicable coupons available. AND you can enter a raffle with any purchase to win a gift basket completed with artwork from Sue Berry, KEATS, and one of our very-own founding board members, Sharon Grossman! Also on Lee Road: The Cedar Lee and Heights Library! And don’t worry, there are tons of delicious places to eat here, so you won’t be dropping by the end of your shopping!